Uptown Valet Recieves a 2013 Bride Choice Award! We are honored to have received a 2013 Bride's Choice Award from WeddingWire.com. The Bride's Choice Awards are handed out annually by WeddingWire and represent the top 5% of their registered vendors. With over 200,000 companies represented on WeddingWire, we feel this is quite an honor! Uptown Valet was the only transportation company in Austin to have received this award, the only valet company in Texas to have earned one and one of only four transportation companies state-wide! We also received a Bride's Choice Award in 2011 and 2013, and we will continue our commitment to excellent customer service hoping to earn one again in 2014. Check out our WeddingWire page to read all of our reviews. 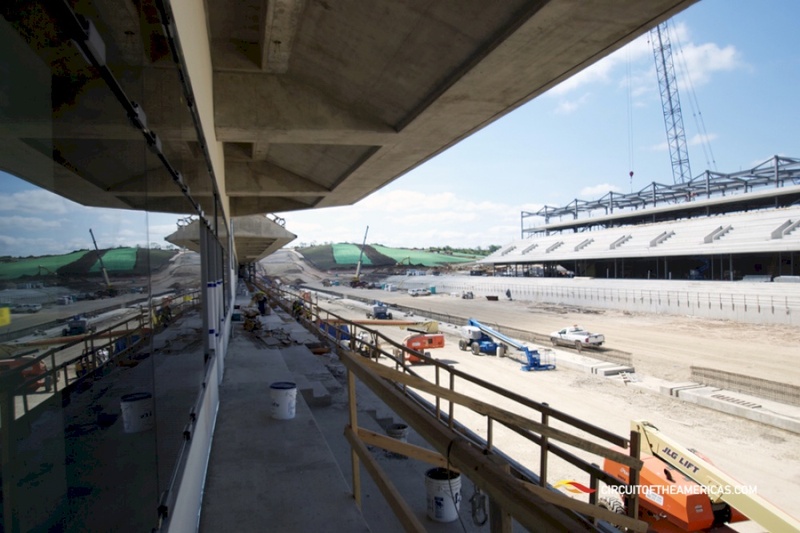 We are getting closer and closer to having Formula One racing here in the heart of Texas with the Circuit of the Americas race set to take place from November 16-19. Tickets have been selling quickly and the town has been getting ready for months. It will bring unprecedented traffic to southeast Austin and they’re even getting ready for large amounts of helicopter traffic. There are multiple events leading up to the race, highlighted by the Formula Run footrace and the Shift into Style kick-off for Austin Fashion Week. Shift into Style will feature F1 race cars, special previews of race fashions, and will have valet parking from Uptown Valet; it's an event we're excited to work at. Don't wait until the last minute if you need any transportation services; we will be fully booked for the weekend and want to get to work on what you need as soon as possible so we can help make your Circuit of the Americas experience the best it can be. If you need valet services for an F1 party, need a chauffeur to the race, shuttles coordinated or any other transportation service, let us know. We're excited that after four years Formula One racing will return to the United States. The Circuit of the Americas race will occur on November 16-18 and it's something we've been getting ready for for a while now and something which we will continue working towards until all the races are over. Construction is continuing and tickets go on sale this Sunday, with prices starting at $159 for a three-day pass. It will bring millions of dollars to Austin and has helped create a bunch of interest in the city. We've already had some of our chauffeur services booked for that weekend and all luxury transportation companies, ourselves included, expect to be slammed that weekend. If you're looking to arrive at the Circuit of Americas race in style and comfort, let us know. We have limos and luxury vehicles available and we will be using them all on race date. We also have our experienced valets available for work that weekend. They're the best in the business and are used to running large-scale private events. If it's something we've never seen before then we'll put our years of experience into figuring out the best transportation services for your event. We're extremely excited for that weekend even though we know it will be one of our busiest. If you need any transportation services, we hope you'll choose Uptown Valet. Four Years of Uptown Valet! Uptown Valet celebrated our fourth birthday last week and we wanted to say thanks to everyone who has helped us grow these past four years. We sent out some baked goodies from Bake Sale Austin to express our thanks to the event coordinators, wedding planners, caterers and everyone else who we’ve enjoyed working with as we‘ve grown. Our good relations with event personnel help us stay in business and we’re thankful that they trust us enough to work their events and do a professional job. The reason that we are able to do such a good job is our employees. They have transitioned with us as we have moved from a valet company to a full-service transportation company; they shift from valets to parking managers to shuttle coordinators and to chauffeurs as needed without missing a beat, and we couldn’t be the company we are today without the hard work put in by our employees. We’re thankful for all of our patrons as well. Our word of mouth reputation means a lot of us and we’re always pleased to learn when we’ve gotten work because someone hiring out our services was so satisfied that they’d mention us to a friend. We’re excited to move into our fifth year as we continue our transition towards becoming a one stop company for any and all transportation needs. More than just providing services, Uptown Valet and Transportation creates relationships; our friendships with planners and coordinators, patrons new and old, and with and amongst our employees are what define us as a company. and we look forward to celebrating our fifth anniversary with all these people, as well as plenty new ones, next year. Uptown Valet recieves a Bride's Choice Award! We are honored to have received a Bride's Choice Award from WeddingWire.com. The Bride's Choice Awards are handed out annually by WeddingWire and represent the top 5% of their registered vendors. With over 200,000 companies represented on WeddingWire, we feel this is quite an honor! Uptown Valet was the only transportation company in Austin to have received this award and the only valet company in Texas to have earned one! We also received a Bride's Choice Award in 2011, and we are glad to see that our commitment to providing valet and transportation services oriented around the customer is leaving them very satisfied with our services. Check out our WeddingWire page to read all of our reviews.